It is with great pleasure that we welcome you to the Yea High School website as a current or prospective Yea High School family, student, teacher or other interested party. You will learn about our school from the information contained in these web pages and we encourage you to contact the school should you wish to gain further information or to visit us. Yea High School is a co-educational secondary college with an enrolment of 320 students situated 100km from Melbourne. The school runs an outreach program for students who were previously not connected with education – the Access Yea Community Education (AYCE) Program. The program has students enrolled at 7 AYCE centres located around the state. Yea High School is a member of the Big Picture Education Australia Network of schools. The school is a vibrant learning institution with a progressive attitude to curriculum programs and education provision. The school is well resourced with an indoor stadium, recently renovated playing fields, home economics area, materials technology and computer graphics studio. In late 2008 the library area was renovated along with student restrooms. The school has recently established two dedicated ‘Learning Age’ areas for Year 9 and 10 students. Our information and communication technology resources are updated annually. The whole school developed our three keys to supporting a harmonious learning environment ‘Respect’, ‘Trust’ and ‘Acceptance’ these concepts underpin the school’s motto ‘Strive to Excel’. 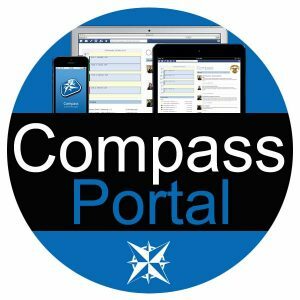 The Compass Portal allows access to students and their families to realtime information including timetables, attendance, assessment tasks and links to contact teachers directly.